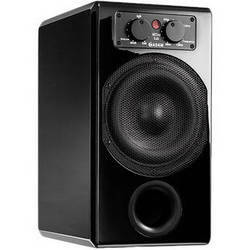 Product code: ADM-ARTist SUB 200W Categories: Active Studio Speakers, Loudspeakers, Subwoofer. Tags: Active Studio Speakers, Adam Audio, ARTist SUB 200W, Subwoofer. The ARTist Sub perfectly complements ADAM Audio´s new ARTIST-Series. Its small dimensions allow for an easy placement even in small environments. Subwoofer: 1. Amp. power RMS / music: 140 W / 210 W.